Switzerland, officially the Swiss Confederation, is a country situated in western, central, and southern Europe. [note 4] It consists of 26 cantons, and the city of Bern is the seat of the federal authorities. [note 1] The sovereign state is a federal republic bordered by Italy to the south, France to the west, Germany to the north, and Austria and Liechtenstein to the east. Switzerland is a landlocked country geographically divided between the Alps, the Swiss Plateau and the Jura, spanning a total area of 41,285 km2 (15,940 sq mi) (land area 39,997 km2 (15,443 sq mi)). 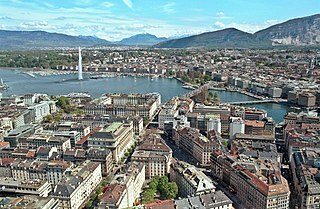 While the Alps occupy the greater part of the territory, the Swiss population of approximately 8.5 million people is concentrated mostly on the plateau, where the largest cities are to be found: among them are the two global cities and economic centres Zürich and Geneva. Southern Europe is the southern region of the European continent. Most definitions of Southern Europe, also known as Mediterranean Europe, include Spain, Italy, Malta, Corsica, Greece, Croatia, Bosnia and Herzegovina, Montenegro, Albania, Kosovo, Slovenia, the East Thrace of European Turkey and Cyprus. Portugal, Andorra, Vatican City, San Marino, Serbia and North Macedonia are also often included despite not having a coast in the Mediterranean. Some definitions may also include mainland Southern France and Monaco, which are otherwise considered parts of Western Europe. The establishment of the Old Swiss Confederacy dates to the late medieval period, resulting from a series of military successes against Austria and Burgundy. Swiss independence from the Holy Roman Empire was formally recognized in the Peace of Westphalia in 1648. The country has a history of armed neutrality going back to the Reformation; it has not been in a state of war internationally since 1815 and did not join the United Nations until 2002. Nevertheless, it pursues an active foreign policy and is frequently involved in peace-building processes around the world. 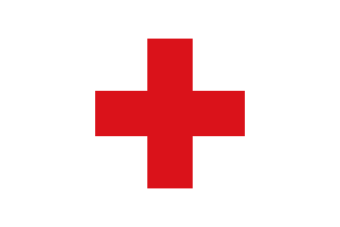 In addition to being the birthplace of the Red Cross, Switzerland is home to numerous international organisations, including the second largest UN office. On the European level, it is a founding member of the European Free Trade Association, but notably not part of the European Union, the European Economic Area or the Eurozone. However, it participates in the Schengen Area and the European Single Market through bilateral treaties. Spanning the intersection of Germanic and Romance Europe, Switzerland comprises four main linguistic and cultural regions: German, French, Italian and Romansh. Although the majority of the population are German-speaking, Swiss national identity is rooted in a common historical background, shared values such as federalism and direct democracy,  and Alpine symbolism. 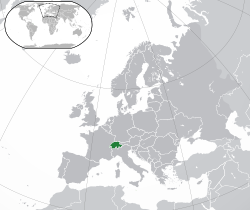 Due to its linguistic diversity, Switzerland is known by a variety of native names: Schweiz [ˈʃvaɪts] (German); [note 5] Suisse [sɥis(ə)] (French); Svizzera [ˈzvittsera] (Italian); and Svizra [ˈʒviːtsrɐ] or [ˈʒviːtsʁːɐ] (Romansh). [note 6] On coins and stamps, the Latin name – frequently shortened to "Helvetia" – is used instead of the four national languages. The English name Switzerland is a compound containing Switzer, an obsolete term for the Swiss, which was in use during the 16th to 19th centuries. The English adjective Swiss is a loan from French Suisse, also in use since the 16th century. The name Switzer is from the Alemannic Schwiizer, in origin an inhabitant of Schwyz and its associated territory, one of the Waldstätten cantons which formed the nucleus of the Old Swiss Confederacy. The Swiss began to adopt the name for themselves after the Swabian War of 1499, used alongside the term for "Confederates", Eidgenossen (literally: comrades by oath), used since the 14th century. 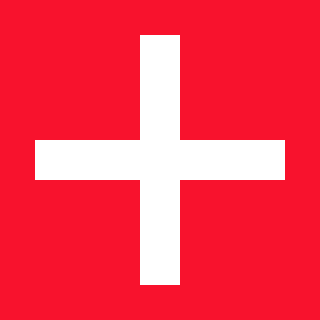 The data code for Switzerland, CH, is derived from Latin Confoederatio Helvetica (English: Helvetic Confederation). Alemannic, or rarely Alemmanish, is a group of dialects of the Upper German branch of the Germanic language family. The name derives from the ancient Germanic alliance of tribes known as the Alemanni. The town of Schwyz is the capital of the canton of Schwyz in Switzerland. Swiss German is any of the Alemannic dialects spoken in the German-speaking part of Switzerland and in some Alpine communities in Northern Italy bordering Switzerland. 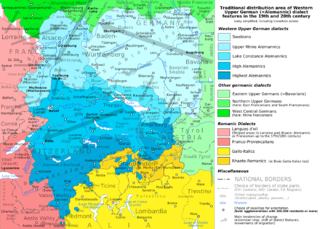 Occasionally, the Alemannic dialects spoken in other countries are grouped together with Swiss German as well, especially the dialects of Liechtenstein and Austrian Vorarlberg, which are closely associated to Switzerland's. The Latin name Confoederatio Helvetica was neologized and introduced gradually after the formation of the federal state in 1848, harking back to the Napoleonic Helvetic Republic, appearing on coins from 1879, inscribed on the Federal Palace in 1902 and after 1948 used in the official seal. (for example, the ISO banking code "CHF" for the Swiss franc, and the country top-level domain ".ch", are both taken from the state's Latin name). Helvetica is derived from the Helvetii , a Gaulish tribe living on the Swiss plateau before the Roman era. 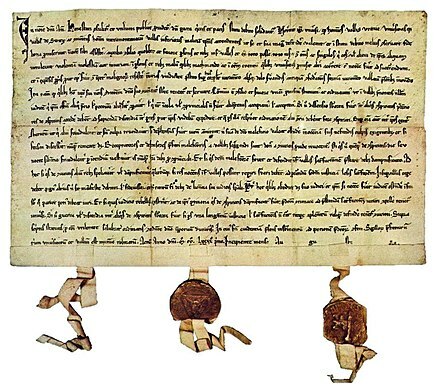 The earliest known cultural tribes of the area were members of the Hallstatt and La Tène cultures, named after the archaeological site of La Tène on the north side of Lake Neuchâtel. 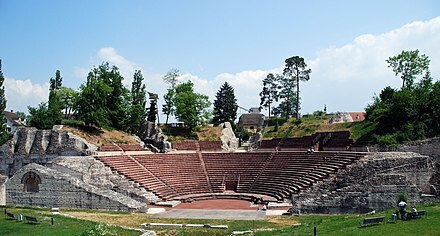 La Tène culture developed and flourished during the late Iron Age from around 450 BC,  possibly under some influence from the Greek and Etruscan civilisations. One of the most important tribal groups in the Swiss region was the Helvetii. Steadily harassed by the Germanic tribes, in 58 BC the Helvetii decided to abandon the Swiss plateau and migrate to western Gallia, but Julius Caesar's armies pursued and defeated them at the Battle of Bibracte, in today's eastern France, forcing the tribe to move back to its original homeland. In 15 BC, Tiberius, who would one day become the second Roman emperor, and his brother Drusus, conquered the Alps, integrating them into the Roman Empire. The area occupied by the Helvetii—the namesakes of the later Confoederatio Helvetica—first became part of Rome's Gallia Belgica province and then of its Germania Superior province, while the eastern portion of modern Switzerland was integrated into the Roman province of Raetia. Sometime around the start of the Common Era, the Romans maintained a large legionary camp called Vindonissa, now a ruin at the confluence of the Aare and Reuss rivers, near the town of Windisch, an outskirt of Brugg. 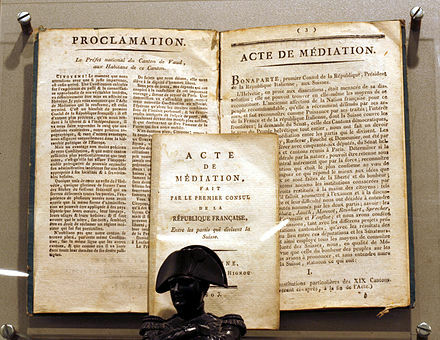 In 1798, the revolutionary French government conquered Switzerland and imposed a new unified constitution. This centralised the government of the country, effectively abolishing the cantons: moreover, Mülhausen joined France and the Valtellina valley became part of the Cisalpine Republic, separating from Switzerland. The new regime, known as the Helvetic Republic, was highly unpopular. It had been imposed by a foreign invading army and destroyed centuries of tradition, making Switzerland nothing more than a French satellite state. The fierce French suppression of the Nidwalden Revolt in September 1798 was an example of the oppressive presence of the French Army and the local population's resistance to the occupation. When war broke out between France and its rivals, Russian and Austrian forces invaded Switzerland. The Swiss refused to fight alongside the French in the name of the Helvetic Republic. In 1803 Napoleon organised a meeting of the leading Swiss politicians from both sides in Paris. 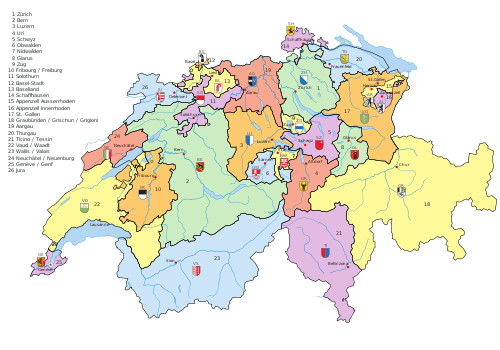 The result was the Act of Mediation which largely restored Swiss autonomy and introduced a Confederation of 19 cantons. Henceforth, much of Swiss politics would concern balancing the cantons' tradition of self-rule with the need for a central government. The restoration of power to the patriciate was only temporary. After a period of unrest with repeated violent clashes, such as the Züriputsch of 1839, civil war (the Sonderbundskrieg ) broke out in 1847 when some Catholic cantons tried to set up a separate alliance (the Sonderbund). The war lasted for less than a month, causing fewer than 100 casualties, most of which were through friendly fire. Yet however minor the Sonderbundskrieg appears compared with other European riots and wars in the 19th century, it nevertheless had a major impact on both the psychology and the society of the Swiss and of Switzerland. This need soon proved itself when the rise in population and the Industrial Revolution that followed led to calls to modify the constitution accordingly. An early draft was rejected by the population in 1872 but modifications led to its acceptance in 1874. It introduced the facultative referendum for laws at the federal level. It also established federal responsibility for defence, trade, and legal matters. Switzerland was not invaded during either of the world wars. 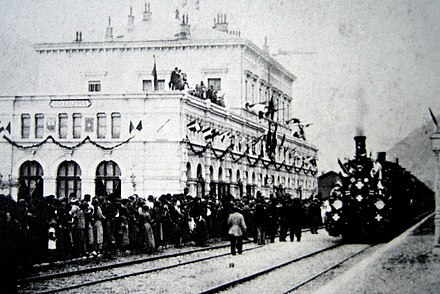 During World War I, Switzerland was home to Vladimir Illych Ulyanov (Vladimir Lenin) and he remained there until 1917. 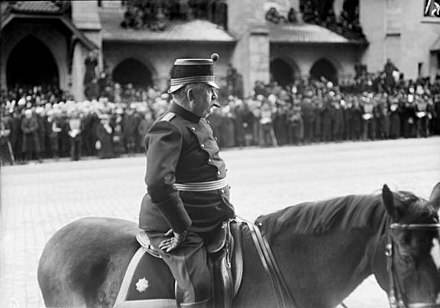 Swiss neutrality was seriously questioned by the Grimm–Hoffmann Affair in 1917, but it was short-lived. In 1920, Switzerland joined the League of Nations, which was based in Geneva, on condition that it was exempt from any military requirements. During the war, the Swiss Air Force engaged aircraft of both sides, shooting down 11 intruding Luftwaffe planes in May and June 1940, then forcing down other intruders after a change of policy following threats from Germany. Over 100 Allied bombers and their crews were interned during the war. Between 1940 and 1945, Switzerland was bombed by the Allies causing fatalities and property damage. Among the cities and towns bombed were Basel, Brusio, Chiasso, Cornol, Geneva, Koblenz, Niederweningen, Rafz, Renens, Samedan, Schaffhausen, Stein am Rhein, Tägerwilen, Thayngen, Vals, and Zürich. Allied forces explained the bombings, which violated the 96th Article of War, resulted from navigation errors, equipment failure, weather conditions, and errors made by bomber pilots. The Swiss expressed fear and concern that the bombings were intended to put pressure on Switzerland to end economic cooperation and neutrality with Nazi Germany. Court-martial proceedings took place in England and the U.S. Government paid 62,176,433.06 in Swiss francs for reparations of the bombings. Switzerland was the last Western republic to grant women the right to vote. Some Swiss cantons approved this in 1959, while at the federal level it was achieved in 1971   and, after resistance, in the last canton Appenzell Innerrhoden (one of only two remaining Landsgemeinde ) in 1990. After obtaining suffrage at the federal level, women quickly rose in political significance, with the first woman on the seven member Federal Council executive being Elisabeth Kopp, who served from 1984 to 1989,  and the first female president being Ruth Dreifuss in 1999. Within Switzerland there are two small enclaves: Büsingen belongs to Germany, Campione d'Italia belongs to Italy. Switzerland has no exclaves in other countries. The Swiss climate is generally temperate, but can vary greatly between the localities,  from glacial conditions on the mountaintops to the often pleasant near Mediterranean climate at Switzerland's southern tip. There are some valley areas in the southern part of Switzerland where some cold-hardy palm trees are found. Summers tend to be warm and humid at times with periodic rainfall so they are ideal for pastures and grazing. The less humid winters in the mountains may see long intervals of stable conditions for weeks, while the lower lands tend to suffer from inversion, during these periods, thus seeing no sun for weeks. The wettest conditions persist in the high Alps and in the Ticino canton which has much sun yet heavy bursts of rain from time to time. Precipitation tends to be spread moderately throughout the year with a peak in summer. Autumn is the driest season, winter receives less precipitation than summer, yet the weather patterns in Switzerland are not in a stable climate system and can be variable from year to year with no strict and predictable periods. The Federal Constitution adopted in 1848 is the legal foundation of the modern federal state. A new Swiss Constitution was adopted in 1999, but did not introduce notable changes to the federal structure. It outlines basic and political rights of individuals and citizen participation in public affairs, divides the powers between the Confederation and the cantons and defines federal jurisdiction and authority. There are three main governing bodies on the federal level:  the bicameral parliament (legislative), the Federal Council (executive) and the Federal Court (judicial). The cantons are federated states, have a permanent constitutional status and, in comparison with the situation in other countries, a high degree of independence. 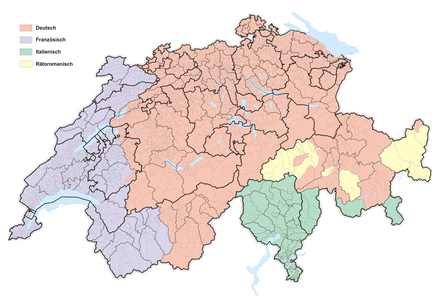 Under the Federal Constitution, all 26 cantons are equal in status, except that 6 (referred to often as the half-cantons) are represented by only one councillor (instead of two) in the Council of States and have only half a cantonal vote with respect to the required cantonal majority in referendums on constitutional amendments. Each canton has its own constitution, and its own parliament, government, police and courts. However, there are considerable differences between the individual cantons, most particularly in terms of population and geographical area. Their populations vary between 16,003 (Appenzell Innerrhoden) and 1,487,969 (Zürich), and their area between 37 km2 (14 sq mi) (Basel-Stadt) and 7,105 km2 (2,743 sq mi) (Grisons). Apart from the United Nations headquarters, the Swiss Confederation is host to many UN agencies, like the World Health Organization (WHO), the International Labour Organization (ILO), the International Telecommunication Union (ITU), the United Nations High Commissioner for Refugees (UNHCR) and about 200 other international organisations, including the World Trade Organization and the World Intellectual Property Organization. The annual meetings of the World Economic Forum in Davos bring together top international business and political leaders from Switzerland and foreign countries to discuss important issues facing the world, including health and the environment. Additionally the headquarters of the Bank for International Settlements (BIS) are located in Basel since 1930. In 1848, the federal constitution provided that details concerning the federal institutions, such as their locations, should be taken care of by the Federal Assembly (BV 1848 Art. 108). Thus on 28 November 1848, the Federal Assembly voted in majority to locate the seat of government in Berne. And, as a prototypical federal compromise, to assign other federal institutions, such as the Federal Polytechnical School (1854, the later ETH) to Zurich, and other institutions to Lucerne, such as the later SUVA (1912) and the Federal Insurance Court (1917). In 1875, a law (RS 112) fixed the compensations owed by the city of Bern for the federal seat. According to these living fundamental federalistic feelings further federal institutions were subsequently attributed to Lausanne (Federal Supreme Court in 1872, and EPFL in 1969), Bellinzona (Federal Criminal Court, 2004), and St. Gallen (Federal Administrative Court and Federal Patent Court, 2012). Thus as of today, no city in Switzerland has the official status either of capital or of Federal City, nevertheless Berne is commonly referred to as "Federal City" (German : Bundesstadt, French : ville fédérale, Italian : città federale). Switzerland has a stable, prosperous and high-tech economy and enjoys great wealth, being ranked as the wealthiest country in the world per capita in multiple rankings. In 2011 it was ranked as the wealthiest country in the world in per capita terms (with "wealth" being defined to include both financial and non-financial assets), while the 2013 Credit Suisse Global Wealth Report showed that Switzerland was the country with the highest average wealth per adult in 2013. It has the world's nineteenth largest economy by nominal GDP and the thirty-sixth largest by purchasing power parity. It is the twentieth largest exporter, despite its small size. Switzerland has the highest European rating in the Index of Economic Freedom 2010, while also providing large coverage through public services. The nominal per capita GDP is higher than those of the larger Western and Central European economies and Japan. If adjusted for purchasing power parity, Switzerland ranks 8th in the world in terms of GDP per capita, according to the World Bank and IMF (ranked 15th according to the CIA Worldfactbook  ). The World Economic Forum's Global Competitiveness Report currently ranks Switzerland's economy as the most competitive in the world,  while ranked by the European Union as Europe's most innovative country. For much of the 20th century, Switzerland was the wealthiest country in Europe by a considerable margin (by GDP – per capita). In 2017, average gross household income in Switzerland was 9,946 francs per month (equivalent to US$10,720 per month), though 61% of the population made less than the average income. Switzerland also has one of the world's largest account balances as a percentage of GDP. Switzerland's most important economic sector is manufacturing. Manufacturing consists largely of the production of specialist chemicals, health and pharmaceutical goods, scientific and precision measuring instruments and musical instruments. The largest exported goods are chemicals (34% of exported goods), machines/electronics (20.9%), and precision instruments/watches (16.9%). Exported services amount to a third of exports. The service sector – especially banking and insurance, tourism, and international organisations – is another important industry for Switzerland. Agricultural protectionism—a rare exception to Switzerland's free trade policies—has contributed to high food prices. Product market liberalisation is lagging behind many EU countries according to the OECD. Nevertheless, domestic purchasing power is one of the best in the world. Apart from agriculture, economic and trade barriers between the European Union and Switzerland are minimal and Switzerland has free trade agreements worldwide. Switzerland is a member of the European Free Trade Association (EFTA). At the end of primary school (or at the beginning of secondary school), pupils are separated according to their capacities in several (often three) sections. The fastest learners are taught advanced classes to be prepared for further studies and the matura,  while students who assimilate a little more slowly receive an education more adapted to their needs. Geneva and the nearby French department of Ain co-host the world's largest laboratory, CERN,  dedicated to particle physics research. Another important research centre is the Paul Scherrer Institute. Notable inventions include lysergic acid diethylamide (LSD), diazepam (Valium), the scanning tunnelling microscope (Nobel prize) and Velcro. Some technologies enabled the exploration of new worlds such as the pressurised balloon of Auguste Piccard and the Bathyscaphe which permitted Jacques Piccard to reach the deepest point of the world's oceans. Switzerland Space Agency, the Swiss Space Office, has been involved in various space technologies and programmes. In addition it was one of the 10 founders of the European Space Agency in 1975 and is the seventh largest contributor to the ESA budget. In the private sector, several companies are implicated in the space industry such as Oerlikon Space  or Maxon Motors  who provide spacecraft structures. The most dense rail network in Europe  of 5,250 kilometres (3,260 mi) carries over 596 million passengers annually (as of 2015). In 2015, each Swiss resident travelled on average 2,550 kilometres (1,580 mi) by rail, which makes them the keenest rail users. Virtually 100% of the network is electrified. The vast majority (60%) of the network is operated by the Swiss Federal Railways (SBB CFF FFS). Besides the second largest standard gauge railway company BLS AG two railways companies operating on narrow gauge networks are the Rhaetian Railway (RhB) in the southeastern canton of Graubünden, which includes some World Heritage lines,  and the Matterhorn Gotthard Bahn (MGB), which co-operates together with RhB the Glacier Express between Zermatt and St. Moritz/Davos. On 31 May 2016 the world's longest and deepest railway tunnel and the first flat, low-level route through the Alps, the 57.1-kilometre long (35.5 mi) Gotthard Base Tunnel, opened as the largest part of the New Railway Link through the Alps (NRLA) project after 17 years of realization. It started its daily business for passenger transport on 11 December 2016 replacing the old, mountainous, scenic route over and through the St Gotthard Massif. Switzerland has a publicly managed road network without road tolls that is financed by highway permits as well as vehicle and gasoline taxes. The Swiss autobahn/autoroute system requires the purchase of a vignette (toll sticker)—which costs 40 Swiss francs—for one calendar year in order to use its roadways, for both passenger cars and trucks. The Swiss autobahn/autoroute network has a total length of 1,638 km (1,018 mi) (as of 2000) and has, by an area of 41,290 km2 (15,940 sq mi), also one of the highest motorway densities in the world. Zürich Airport is Switzerland's largest international flight gateway, which handled 22.8 million passengers in 2012. The other international airports are Geneva Airport (13.9 million passengers in 2012),  EuroAirport Basel-Mulhouse-Freiburg which is located in France, Bern Airport, Lugano Airport, St. Gallen-Altenrhein Airport and Sion Airport. Swiss International Air Lines is the flag carrier of Switzerland. Its main hub is Zürich. Switzerland has four national languages: mainly German (spoken by 62.8% of the population in 2016); French (22.9%) in the west; and Italian (8.2%) in the south. The fourth national language, Romansh (0.5%), is a Romance language spoken locally in the southeastern trilingual canton of Grisons, and is designated by Article 4 of the Federal Constitution as a national language along with German, French, and Italian, and in Article 70 as an official language if the authorities communicate with persons who speak Romansh. However, federal laws and other official acts do not need to be decreed in Romansh. Three of Europe's major languages are official in Switzerland. Swiss culture is characterised by diversity, which is reflected in a wide range of traditional customs. A region may be in some ways strongly culturally connected to the neighbouring country that shares its language, the country itself being rooted in western European culture. The linguistically isolated Romansh culture in Graubünden in eastern Switzerland constitutes an exception, it survives only in the upper valleys of the Rhine and the Inn and strives to maintain its rare linguistic tradition. Famous French-speaking writers were Jean-Jacques Rousseau (1712–1778) and Germaine de Staël (1766–1817). More recent authors include Charles Ferdinand Ramuz (1878–1947), whose novels describe the lives of peasants and mountain dwellers, set in a harsh environment and Blaise Cendrars (born Frédéric Sauser, 1887–1961). Italian and Romansh-speaking authors also contributed to the Swiss literary landscape, but generally in more modest ways given their small number. Skiing, snowboarding and mountaineering are among the most popular sports in Switzerland, the nature of the country being particularly suited for such activities. Winter sports are practised by the natives and tourists since the second half of the 19th century with the invention of bobsleigh in St. Moritz. The first world ski championships were held in Mürren (1931) and St. Moritz (1934). The latter town hosted the second Winter Olympic Games in 1928 and the fifth edition in 1948. Among the most successful skiers and world champions are Pirmin Zurbriggen and Didier Cuche. Many Swiss also follow ice hockey and support one of the 12 teams of the National League, which is the most attended league in Europe. In 2009, Switzerland hosted the IIHF World Championship for the 10th time. It also became World Vice-Champion in 2013 and 2018. The numerous lakes make Switzerland an attractive place for sailing. The largest, Lake Geneva, is the home of the sailing team Alinghi which was the first European team to win the America's Cup in 2003 and which successfully defended the title in 2007. Tennis has become an increasingly popular sport, and Swiss players such as Martina Hingis, Roger Federer, and Stanislas Wawrinka have won multiple Grand Slams. 1 2 Bern is referred to as "federal city" (German : Bundesstadt, French : ville fédérale, Italian : città federale). Swiss law does not designate a capital as such, but the federal parliament and government are located in Bern, while the federal courts are located in other cities. ↑ Swiss Standard German spelling and pronunciation. The Swiss German name is sometimes spelled as Schwyz or Schwiiz [ˈʃʋiːt͡s] . Schwyz is also the standard German (and international) name of one of the Swiss cantons. Switzerland has a dense network of roads and railways. 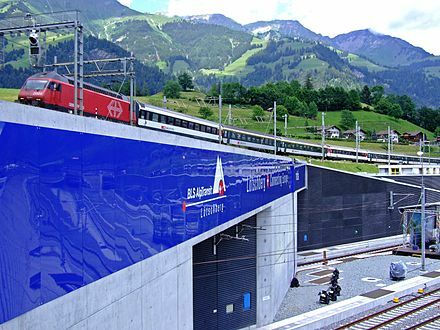 The Swiss public transport network has a total length of 24,500 kilometers and has more than 2600 stations and stops. The canton of Vaud is the third largest of the Swiss cantons by population and fourth by size. 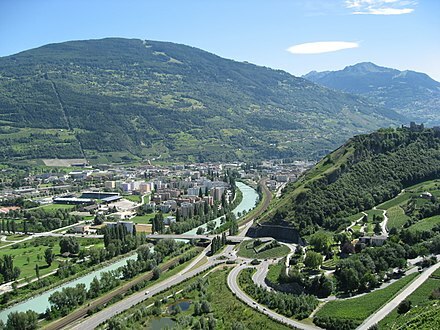 It is located in Romandy, the French-speaking western part of the country; and borders the canton of Neuchâtel to the north, the cantons of Fribourg and Bern to the east, Valais and Lake Geneva to the south, the canton of Geneva to the south-west and France to the west. The Council of States is the smaller chamber of the Federal Assembly of Switzerland, and is considered the Assembly's upper house, with the National Council being the lower house. There are 46 Councillors. The Swiss Party of Labour is a communist party in Switzerland. It is associated with the European United Left–Nordic Green Left group in the European Parliament, although Switzerland is not in the EU. Islam in Switzerland has mostly arrived via immigration since the late 20th century. Numbering below 1% of total population in 1980, the fraction of Muslims in the population of permanent residents in Switzerland has quintupled in thirty years, estimated at just above 5% as of 2013. A majority is from Former Yugoslavia ; an additional 20% is from Turkey. The vast majority of Muslims in Switzerland adheres to the Sunni branch. Some famous Muslims of Switzerland include Tariq Ramadan, Frithjof Schuon, Titus Burckhardt and Isabelle Eberhardt. Switzerland has a two-class highway system: motorways with separated roads for oncoming traffic and a standard maximal speed limit of 120 kilometres per hour (75 mph), and expressways often with oncoming traffic and a standard maximal speed limit of 100 kilometres per hour (62 mph). The federal popular initiative "against the construction of minarets" was a successful popular initiative in Switzerland to prevent the construction of minarets on mosques. In a November 2009 referendum, a constitutional amendment banning the construction of new minarets was approved by 57.5% of the participating voters. 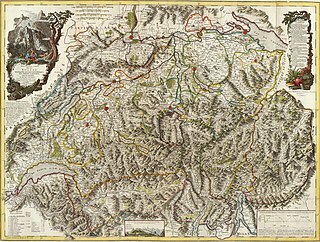 Only three of the twenty Swiss cantons and one half canton, mostly in the French-speaking part of Switzerland, opposed the initiative. The Swiss Reformed Church is the Reformed branch of Protestantism in Switzerland started in Zürich by Huldrych Zwingli (1484–1531) and spread within a few years to Basel, Bern, St. Gallen, to cities in southern Germany and via Alsace to France. 1 2 3 4 Georg Kreis:Federal city in German , French and Italian in the online Historical Dictionary of Switzerland ,20 March 2015. 1 2 Holenstein, André (2012). "Die Hauptstadt existiert nicht" (PDF) (scientific article). UniPress – Forschung und Wissenschaft an der Universität Bern (in German) (152: Sonderfall Hauptstatdtregion). Berne: Department Communication, University of Berne: 16–19. doi:10.7892/boris.41280 . Retrieved 7 May 2017. 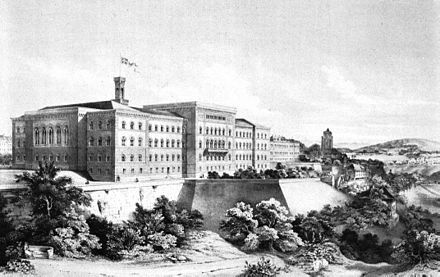 Als 1848 ein politisch-administratives Zentrum für den neuen Bundesstaat zu bestimmen war, verzichteten die Verfassungsväter darauf, eine Hauptstadt der Schweiz zu bezeichnen und formulierten stattdessen in Artikel 108: «Alles, was sich auf den Sitz der Bundesbehörden bezieht, ist Gegenstand der Bundesgesetzgebung.» Die Bundesstadt ist also nicht mehr und nicht weniger als der Sitz der Bundesbehörden. ↑ Andreas Kley:Federal constitution in German, French and Italian in the online Historical Dictionary of Switzerland ,3 May 2011. ↑ "Bevölkerungsbestand am Ende des 2. Quartals 2018" [Recent monthly and quarterly figures: provisional data](XLS) (official statistics) (in German, French, and Italian). Neuchâtel, Switzerland: Swiss Federal Statistical Office (FSO), Swiss Confederation. 20 September 2018. 1155-1500. Retrieved 9 October 2018. 1 2 3 4 "5. Report for Selected Countries and Subjects: Switzerland". Washington, DC, U.S.: International Monetary Fund. Retrieved 1 October 2018. ↑ Berner, Elizabeth Kay; Berner, Robert A. (22 April 2012). Global Environment: Water, Air, and Geochemical Cycles - Second Edition. Princeton University Press. ISBN 978-1400842766. ↑ Prof. Dr. Adrian Vatter (2014). Das politische System der Schweiz [The Political System of Switzerland]. Studienkurs Politikwissenschaft (in German). Baden-Baden: UTB Verlag. ISBN 978-3-8252-4011-0. 1 2 Zimmer, Oliver (12 January 2004) [originally published: October 1998]. "In Search of Natural Identity: Alpine Landscape and the Reconstruction of the Swiss Nation". Comparative Studies in Society and History. London. 40 (4): 637–665. doi:10.1017/S0010417598001686 – via Cambridge Journals. ↑ Josef Lang (14 December 2015). "Die Alpen als Ideologie". Tages-Anzeiger (in German). Zürich, Switzerland. Archived from the original on 15 December 2015. Retrieved 14 December 2015. ↑ Subir Ghosh (9 October 2010). "US is still by far the richest country, China fastest growing". Digital Journal. Canada. Archived from the original on 12 January 2016. Retrieved 14 December 2015. ↑ Simon Bowers (19 October 2011). 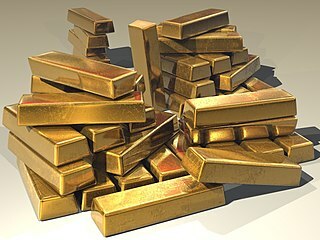 "Franc's rise puts Swiss top of rich list". The Guardian. London, UK. Archived from the original on 12 January 2016. Retrieved 14 December 2015. ↑ "Zürich mit der zweithöchsten Lebensqualität weltweit". Zürich, CH: Mercer Consulting. 20 March 2018. Retrieved 23 February 2019. ↑ On Schwyzers, Swiss and Helvetians Archived 5 August 2010 at the Wayback Machine , Federal Department of Home Affairs, admin.ch. ↑ Marco Marcacci, Confederatio helvetica (2002) Archived 27 September 2015 at the Wayback Machine , Historical Lexicon of Switzerland. ↑ Helvetia in German , French and Italian in the online Historical Dictionary of Switzerland . 1 2 3 4 5 6 7 8 9 10 11 12 13 14 15 16 "A Brief Survey of Swiss History". admin.ch. Archived from the original on 26 June 2009. Retrieved 22 June 2009. ↑ Asylum in German , French and Italian in the online Historical Dictionary of Switzerland . ↑ Switzerland, National Socialism and the Second World War Archived 30 May 2009 at the Wayback Machine . Final Report of the Independent Commission of Experts Switzerland, Pendo Verlag GmbH, Zürich 2002, ISBN 3-85842-603-2, p. 521. ↑ Helmreich JE. "Diplomacy of Apology". Archived from the original on 5 May 2007. Retrieved 5 May 2007. ↑ Westberg, Gunnar (9 October 2010). "Swiss Nuclear Bomb". International Physicians for the Prevention of Nuclear War. Archived from the original on 5 March 2014. Retrieved 6 March 2014. 1 2 3 4 Country profile: Switzerland. UK Foreign and Commonwealth Office (29 October 2012). 1 2 3 4 5 6 7 "Swiss Geography". swissworld.org. Presence Switzerland, Federal Department of Foreign Affairs. Archived from the original on 8 October 2014. Retrieved 12 October 2014. ↑ "map.search.ch" (online map). Map of Switzerland with route planner. Cartography by TomTom, swisstopo, osm. search.ch / Tamedia. Archived from the original on 25 March 2015. Retrieved 27 March 2015. ↑ "Map Gallery Switzerland: Physical Geography of Switzerland". Neuchâtel, Switzerland: Swiss Federal Statistical Office. Archived from the original on 13 October 2014. Retrieved 12 October 2014. 1 2 "Swiss Climate". Swiss Federal Office of Meteorology and Climatology MeteoSwiss, Swiss Federal Department of Home Affairs FDHA, Swiss Confederation. Archived from the original on 29 June 2007. Retrieved 12 October 2014. 1 2 "Swiss climate maps". Swiss Federal Office of Meteorology and Climatology MeteoSwiss, Swiss Federal Department of Home Affairs FDHA, Swiss Confederation. Archived from the original on 23 February 2010. Retrieved 12 October 2014. ↑ "Swiss Alps Jungfrau-Aletsch". UNESCO World Heritage Centre. 2007. Archived from the original on 21 March 2015. Retrieved 27 March 2015. ↑ "Environment: Impact of climate change". swissworld.org. Presence Switzerland, Federal Department of Foreign Affairs. Archived from the original on 15 November 2014. Retrieved 12 October 2014. ↑ "2014 Environmental Performance Index". epi.yale.edu/epi. Yale Center for Environmental Law & Policy, Yale University, and Center for International Earth Science Information Network, Columbia University. 2014. Archived from the original on 29 January 2014. Retrieved 12 October 2014. 1 2 3 4 5 6 "Switzerland's political system". Berne, Switzerland: The Federal Council. Archived from the original on 20 June 2016. Retrieved 24 June 2016. ↑ "Federalism". Berne, Switzerland: The Federal Council. Archived from the original on 14 July 2016. Retrieved 24 June 2016. ↑ "Die Legislative ist ein Miliz-Parlament – SWI swissinfo.ch". Archived from the original on 20 December 2016. Retrieved 13 December 2016. ↑ "The federal courts". Berne, Switzerland: The Federal Council. Archived from the original on 14 July 2016. Retrieved 24 June 2016. ↑ Andreas Gross:Popular rights in German , French and Italian in the online Historical Dictionary of Switzerland ,22 April 2015. ↑ Kaufmann, Bruno (18 May 2007). "How direct democracy makes Switzerland a better place". The Telegraph. London, UK. Archived from the original on 7 December 2009. Retrieved 9 December 2009. 1 2 "Addresses of administrative authorities". Berne, Switzerland: ch.ch, A service of the Confederation, cantons and communes. Archived from the original on 14 July 2016. Retrieved 24 June 2016. ↑ "Switzerland – Country history and economic development". nationsencyclopedia.com. Archived from the original on 6 February 2010. Retrieved 12 December 2009. ↑ "Schengen Visa Countries List – Schengen Area". Schengen VISA Information. Archived from the original on 4 December 2015. Retrieved 4 December 2015. ↑ "Militärdiestpflicht" (in German, French, and Italian). 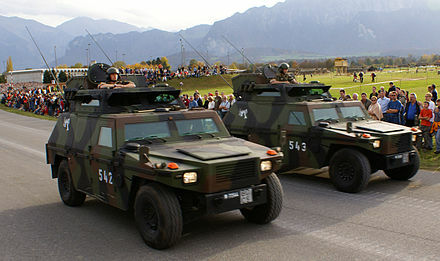 Swiss Federal Department of Defence, Civil Protection and Sport. Archived from the original on 13 December 2013. Retrieved 15 January 2014. ↑ "Zwei Drittel der Rekruten diensttauglich (Schweiz, NZZ Online)" . Retrieved 23 February 2009. ↑ "SR 514.101 Verordnung des VBS über die persönliche Ausrüstung der Armeeangehörigen (VPAA-VBS) vom 9. Dezember 2003 (Stand am 1. Januar 2015): Art. 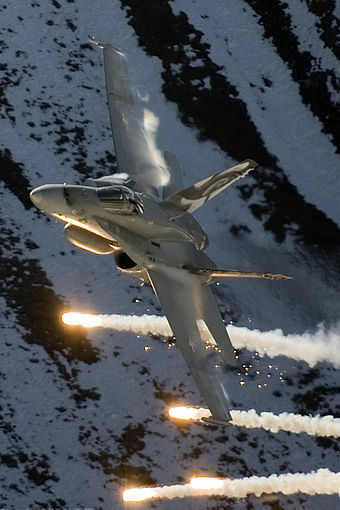 7 Taschenmunition Ziff 1" (official site) (in German, French, and Italian). 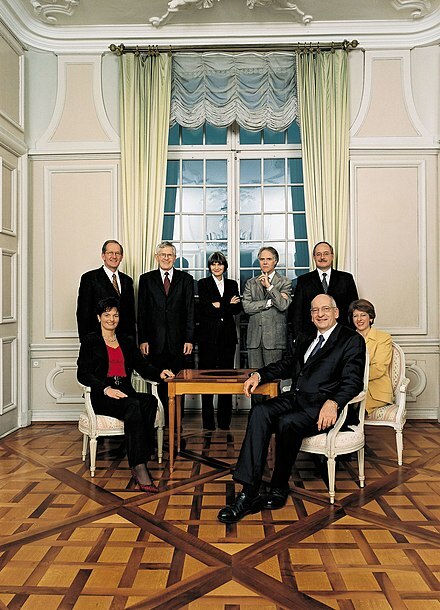 Berne, Switzerland: The Swiss Federal Council. 21 December 2007. Archived from the original on 28 December 2016. Retrieved 6 December 2016. ↑ "Soldiers can keep guns at home but not ammo". Swissinfo . 27 September 2007. Archived from the original on 7 December 2016. Retrieved 7 December 2016. 1 2 3 Andreas Würgler:Confederal Diet in German , French and Italian in the online Historical Dictionary of Switzerland ,25 September 2014. ↑ "Bundesstadtstatus Stadt Bern" (official website) (in German, French, and Italian). Berne, Switzerland: Swiss Federal Chancellery. 13 July 2006. Archived from the original on 10 October 2017. Retrieved 11 May 2017. ↑ "Watches". Swissworld.org. Archived from the original on 5 March 2012. Retrieved 28 February 2012. ↑ Credit Suisse: Global wealth has soared 14% since 2010 to USD 231 trillion with the strongest growth in emerging markets Archived 24 July 2014 at the Wayback Machine . Credit Suisse. ↑ Table 2: Top 10 countries with the highest average wealth per adult in 2011 Archived 14 November 2012 at the Wayback Machine . Credit Suisse. ↑ Credit Suisse Research Institute (9 October 2013). "Global Wealth Reaches New All-Time High". The Financialist. Credit Suisse. Archived from the original on 29 July 2016. Retrieved 10 October 2013. 1 2 "CIA – The World Factbook". Cia.gov. Archived from the original on 24 April 2013. Retrieved 28 April 2013. ↑ "Global Competitiveness Report 2016-2017" (PDF). World Economic Forum. Archived (PDF) from the original on 26 February 2017. ↑ The Innovation Union's performance scoreboard for Research and Innovation 2010 Archived 31 August 2012 at the Wayback Machine . Maastricht Economic and social Research and training centre on Innovation and Technology, 1 February 2011. ↑ "European Innovation Scoreboard – European Commission". Archived from the original on 20 December 2016. Retrieved 13 December 2016. 1 2 Western Europe. Routledge. 2002. pp. 645–646. ISBN 978-1-85743-152-0. ↑ "Study: average Swiss household has 7,000 francs monthly disposable income". Archived from the original on 17 February 2018. ↑ "Six Swiss companies make European Top 100". swissinfo.ch. 18 October 2008. Retrieved 22 July 2008. ↑ "Work and income". Archived from the original on 12 March 2017. Retrieved 13 March 2017. ↑ "Trade Unions – Switzerland". Archived from the original on 16 January 2013. Retrieved 17 December 2012. ↑ Swiss jobless reach 12-year high – a mere 4.4 pct Archived 29 July 2013 at the Wayback Machine . Associated Press (8 January 2010). ↑ "Mehr Arbeitslose in der Schweiz – das ist nicht überraschend – News – SRF". Archived from the original on 14 December 2016. Retrieved 13 December 2016. ↑ "The Conference Board Total Economy Database – Output, Labor, and Labor Productivity, 1950 – 2012" (Excel). The Conference Board. January 2013. GDP per Hour, in 2012 EKS$. Archived from the original on 8 July 2010. 1 2 "Policy Brief: Economic Survey of Switzerland, 2007" (PDF). OECD. Archived from the original (PDF; 326 KiB) on 24 June 2008. ↑ Want the world's best wages? Move to Switzerland Archived 27 January 2011 at the Wayback Machine reuters.com. Retrieved on 14 January 2010. ↑ "Shanghai Ranking 2008 Top 100 world universities in Natural Sciences and Mathematics". Ed.sjtu.edu.cn. Archived from the original on 12 October 2009. Retrieved 2 November 2010. ↑ Kim Thomas (1 October 2014). "Why does Switzerland do so well in university rankings?". The Guardian. London. Archived from the original on 3 October 2014. Retrieved 12 October 2014. ↑ "Chart C3.1. Percentage of foreign students in tertiary education (1998, 2003) in Education at a Glance, OECD indicators 2005 – Executive Summary" (PDF). www.oecd.org/edu/eag2005 (Study). OECD. 2005. p. 44. Archived (PDF) from the original on 11 June 2016. Retrieved 22 December 2013. ↑ Education at Glance 2005 Archived 23 July 2013 at the Wayback Machine by the OECD: Percentage of foreign students in tertiary education. ↑ "Graduate Institute of International Studies Geneva Overview | Study Abroad Programs". Studyihub.com. 13 September 2010. Archived from the original on 2 May 2013. Retrieved 28 April 2013. ↑ "e-Perspectives, Kendra Magraw ('10) Accepted at Geneva's Prestigious IHEID – U of MN Law School". Law.umn.edu. Archived from the original on 9 July 2010. Retrieved 28 April 2013. ↑ Snygg, John (2011). A New Approach to Differential Geometry Using Clifford's Geometric Algebra. Springer. p. 38. ISBN 978-0-8176-8282-8. Archived from the original on 6 September 2015. ↑ Mueller, Roland. "Swiss Nobel Prize Winners / Nobel Prize Winners in Switzerland". Muellerscience.com. Archived from the original on 24 February 2011. Retrieved 29 May 2011. ↑ "Mueller Science – Spezialitaeten: Schweizer Nobelpreisträger". Archived from the original on 24 February 2011. Retrieved 31 July 2008. 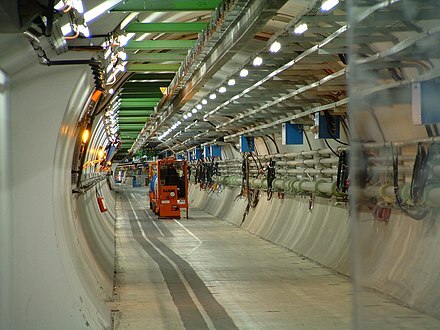 ↑ "CERN - the largest laboratory in the world www.swissworld.org". Swissworld.org. Archived from the original on 29 April 2010. Retrieved 29 April 2010. ↑ "5 Years on Mars". Maxonmotor.ch. 4 January 2004. Archived from the original on 30 April 2011. ↑ Prof Clive Church (May 2003). 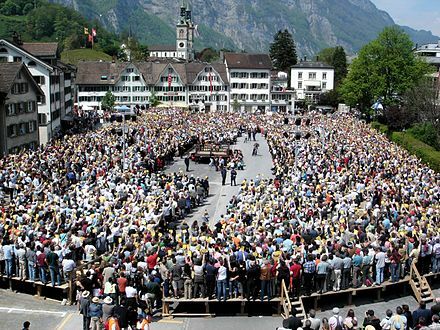 "The contexts of Swiss opposition to Europe" (PDF). Sussex European Institute. p. 12. Archived from the original (PDF, 124 KiB) on 26 November 2009. Retrieved 13 June 2008. ↑ "GDP growth (annual %)". World Bank. Archived from the original on 31 May 2011. Retrieved 13 August 2013. ↑ "Volksinitiative "Ja zu Europa!"" [Initiative "Yes to Europe! "](PDF) (in German). BFS/OFS/UST. 13 February 2003. Archived from the original (PDF, 1.1 MiB) on 24 June 2008. Retrieved 15 June 2008. ↑ "Volksinitiative "Ja zu Europa! ", nach Kantonen. (Initiative "Yes to Europe!" by Canton)" (in German). BFS/OFS/UST. 16 January 2003. Archived from the original (XLS) on 1 May 2011. Retrieved 15 June 2008. ↑ "Bilateral agreements Switzerland-EU". www.europa.admin.ch (web page). Swiss Directorate for European Affairs DEA, Federal Department of Foreign Affairs FDFA. Archived from the original on 30 August 2014. Retrieved 8 May 2014. ↑ "Institutional issues". www.europa.admin.ch (web page). Swiss Directorate for European Affairs DEA, Federal Department of Foreign Affairs FDFA. Archived from the original on 17 March 2012. Retrieved 8 May 2014. ↑ "Abstimmungen – Indikatoren, Abstimmung vom 9. Februar 2014: Initiative "Gegen Masseneinwanderung"" (in German and French). Swiss Federal Statistical Office, Neuchâtel 2014. 9 February 2014. Archived from the original (web page) on 21 April 2014. Retrieved 20 April 2014. ↑ Swiss voters back limit on immigration Archived 3 March 2014 at the Wayback Machine Herald-Tribune (The Associated Press). 9 February 2014. Retrieved 10 February 2014. ↑ Niklaus Nuspliger (Febr.2014). «Der Ball ist im Feld der Schweiz» Archived 25 February 2014 at the Wayback Machine (in German). Neue Zürcher Zeitung NZZ.ch. Retrieved 10 February 2014. ↑ EU and Switzerland agree on free movement Archived 28 December 2016 at the Wayback Machine EUobserver , 22 December 2016. ↑ "Vorlage Nr. 502: Übersicht: Volksinitiative 'Moratorium Plus – Für die Verlängerung des Atomkraftwerk-Baustopps und die Begrenzung des Atomrisikos (MoratoriumPlus)'" (official site) (in German, French, and Italian). Berne, Switzerland: Swiss Federal Chancellery. 18 May 2003. Archived from the original on 28 December 2016. Retrieved 6 December 2016. ↑ "Vorlage Nr. 501: Übersicht:Volksinitiative 'Strom ohne Atom – Für eine Energiewende und schrittweise Stilllegung der Atomkraftwerke (Strom ohne Atom)'" (official site) (in German, French, and Italian). Berne, Switzerland: Swiss Federal Chancellery. 18 May 2003. Archived from the original on 28 December 2016. Retrieved 6 December 2016. ↑ Martin Enserink (25 May 2011). "Switzerland to Phase Out Nuclear Energy; E.U. Strikes Deal on 'Stress Tests'". Science. Washington DC, U.S.: American Association for the Advancement of Science. Archived from the original on 1 December 2016. Retrieved 6 December 2016. ↑ Urs Geiser. "Swiss nuclear plants to remain on grid". SWI swissinfo.ch – the international service of the Swiss Broadcasting Corporation (SBC). Zurich, Switzerland: Swiss Broadcasting Corporation (SBC). Archived from the original on 27 November 2016. Retrieved 28 November 2016. ↑ "Federal government energy research". 16 January 2008. Archived from the original on 24 February 2009. 1 2 "Öffentlicher Verkehr – Zeitreihen" (XLS) (official site). Neuchâtel, Switzerland: Swiss Federal Statistical Office (FSO). September 2016. Archived from the original on 20 December 2016. Retrieved 6 December 2016. ↑ "Switzerland". Xinhua. 1 April 2003. Archived from the original on 15 October 2015. ↑ W3design. "Swiss Recycling". Swissrecycling.ch. Archived from the original on 23 April 2010. Retrieved 29 April 2010. ↑ "2014 Global Green Economy Index" (PDF). Dual Citizen LLC. Archived (PDF) from the original on 28 October 2014. Retrieved 20 October 2014. ↑ "RECYCLING-MAP.CH" (in English, German, French, and Italian). Thalwil, Switzerland: IGORA Co-operative. Retrieved 29 April 2018. ↑ "Topic Waste" (official site) (in German, French, Italian, and English). Ittigen, Switzerland: Federal Office for the Environment FOEN. Retrieved 29 April 2018. ↑ "Abfall - Déchets - Rifiuti" (official site) (in German, French, and Italian). Berne, Switzerland: Preisüberwachung, Federal Department of Economic Affairs, Education and Research. Retrieved 29 April 2018. ↑ "Swiss population to grow 12.5 per cent by 2035". SWI. SWI. Archived from the original on 25 July 2016. Retrieved 23 June 2016. ↑ "Population – Key figures, 2012". www.bfs.admin.ch (Statistics) (in English, German, French, and Italian). Neuchâtel: Swiss Federal Statistical Office, 2013. Archived from the original on 30 December 2013. Retrieved 22 December 2013. 1 2 "Migration and integration – Data, indicators, Nationality, Foreign permanent resident population by nationality, 2012". www.bfs.admin.ch (Statistics) (in English, German, French, and Italian). Neuchâtel: Swiss Federal Statistical Office, 2013. Archived from the original on 22 December 2013. Retrieved 22 December 2013. ↑ "Migration and integration – Data, indicators, Nationality, Population with an immigration background, Permanent resident population aged 15 or over, by migration status, 2nd quarter 2012". www.bfs.admin.ch (Statistics) (in English, German, French, and Italian). Neuchâtel: Swiss Federal Statistical Office, 2013. Archived from the original on 15 November 2013. Retrieved 22 December 2013. 1 2 "Sprachen / Lingue / Lingue" (official site) (in German, French, and Italian). Neuchâtel, Switzerland: Swiss Federal Statistical Office FSO. 28 March 2018. Retrieved 2018-12-05. ↑ "CC 101 Federal Constitution of the Swiss Confederation of 18 April 1999, Art. 4 National languages" (official site). Berne, Switzerland: The federal Council. 1 January 2018. Retrieved 2018-12-05. ↑ "Die am häufigsten üblicherweise zu Hause gesprochenen Sprachen der ständigen Wohnbevölkerung ab 15 Jahren - 2012-2014, 2013-2015, 2014-2016" (XLS) (official site) (in German, French, and Italian). Neuchâtel, Switzerland: Swiss Federal Statistical Office FSO. 28 March 2018. Retrieved 2018-12-05. ↑ "Personen nach Anzahl Sprachen, die sie regelmässig verwenden - 2014" (official site) (in German, French, and Italian). Neuchâtel, Switzerland: Swiss Federal Statistical Office FSO. 5 October 2016. Retrieved 2018-12-05. ↑ "The Parliamentary Services". Berne, Switzerland: The Federal Assembly. Archived from the original on 13 November 2009. Retrieved 29 July 2015. 1 2 "Dialekte" (in German). Berne, Switzerland: Historisches Lexikon der Schweiz. Archived from the original on 13 June 2015. Retrieved 31 July 2015. ↑ "Billette Schweiz" (in German). Berne, Switzerland: SBB CFF FFS Swiss Federal Railways. Archived from the original on 4 July 2015. Retrieved 31 July 2015. 1 2 Duden Schweizerhochdeutsch (in German). Berlin, Germany: Bibliographisches Institut GmbH. 2012. ISBN 978-3-411-70417-0. Archived from the original on 21 January 2012. Retrieved 31 July 2015. ↑ Michael G. Clyne (1992). Pluricentric Languages: Differing Norms in Different Nations. Berlin, Germany: Walter de Gruyter. pp. 164–165. ISBN 978-3-11-012855-0. Archived from the original on 6 September 2015. Retrieved 31 July 2015. ↑ "Multilingualism". Berne, Switzerland: Presence Switzerland, Federal Department of Foreign Affairs FDFA, The Federal Administration. Archived from the original on 4 September 2015. Retrieved 31 July 2015. ↑ "Patients are very satisfied with "Hospital Switzerland"" [Patienten mit «Spital Schweiz» sehr zufrieden] (in German). Berne, Switzerland: ANQ Nationaler Verein für Qualitätsentwicklung in Spitälern und Kliniken. 5 November 2014. Archived from the original on 2 April 2015. Retrieved 1 April 2015. Die Antworten erreichten auf einer Skala von 1 bis 10 durchschnittliche Werte zwischen 9 und 9,4. ↑ "Zufriedenheit durch Vertrauen: Kurzbericht zur grossen Ärztestudie" (PDF) (in German). Berne, Switzerland: gfs.bern, 20 Minuten Online, comparis.ch. 10 October 2012. p. 9. Archived (PDF) from the original on 18 April 2015. Retrieved 9 April 2015. Mehrheitliche 91 Prozent sind mit "ihrem" Hausarzt mehr oder weniger dezidiert zufrieden. ↑ Rico Kütscher (28 June 2014). "Kundenzufriedenheit: Krankenkassen sollten Effizienz und Image verbessern". Neue Zürcher Zeitung, NZZ (in German). Zürich, Switzerland. Archived from the original on 6 July 2015. Retrieved 8 April 2015. Wie es um die Kundenzufriedenheit in der Branche generell steht, zeigt eine 2013 im Auftrag von «K-Tipp» durchgeführte repräsentative Umfrage unter Versicherten, die in den vergangenen zwei Jahren Leistungen von ihrer Krankenkasse in Anspruch genommen haben. Beim Testsieger Concordia waren rund 73% der Versicherten «sehr zufrieden». Bei grossen Krankenkassen wie der CSS und Helsana betrug dieser Anteil 70% beziehungsweise 63%. Groupe Mutuel erreichte rund 50%, und die Billigkasse Assura kam auf 44%. Dies illustriert, dass die Zufriedenheit durchaus hoch ist – dass es aber auch Potenzial für Effizienzsteigerungen bei Krankenkassen gibt. ↑ "Components of population change – Data, indicators: Deaths, mortality and life expectancy". Swiss Federal Statistical Office, Neuchâtel 2013. 2012. Archived from the original on 16 November 2013. Retrieved 21 November 2013. ↑ "The Human Capital Report, Insight Report". World Economic Forum. 2013. pp. 480, 12, 14, 478–481. Archived from the original (PDF) on 5 October 2013. Retrieved 21 November 2013. ↑ "OECD.StatExtracts, Health, Health Status, Life expectancy, Total population at birth, 2011" (Online Statistics). stats.oecd.org/. OECD's iLibrary. 2013. Archived from the original on 11 December 2013. Retrieved 22 November 2013. ↑ "Statistical Data on Health and Accident Insurance". Swiss Federal Office of Public Health (FOPH) 2012 Edition (Flyer, A4, 2 pages). 19 December 2012. p. 2. Archived from the original (PDF) on 3 December 2013. Retrieved 21 November 2013. 1 2 3 4 5 "Religionen / Religions / Religioni" (official site) (in German, French, and Italian). Neuchâtel, Switzerland: Swiss Federal Statistical Office FSO. 28 March 2018. Retrieved 2018-12-05. ↑ "Die Kirchensteuern August 2013". www.estv.admin.ch (Document) (in German, French, and Italian). Berne: Schweizerische Steuerkonferenz SSK, Swiss Federal Tax Administration FTA, Federal Department of Finance FDF. 2013. Archived from the original (PDF) on 25 January 2012. Retrieved 5 April 2014. ↑ "Wohnbevölkerung nach Religionszugehörigkeit 1910–2013". www.bfs.admin.ch (in German). Neuchâtel: Swiss Federal Statistical Office. 2015. Archived from the original (XLS) on 15 October 2015. Retrieved 14 October 2015. ↑ Bovay, Claude; Broquet, Raphaël (30 September 2005). Eidgenössische Volkszählung 2000: Religionslandschaft in der Schweiz (Publication) (in German, French, and Italian). Neuchâtel: Swiss Federal Statistical Office, December 2004. pp. 122–129. ISBN 978-3-303-16073-2. Archived from the original (PDF) on 13 January 2014. Retrieved 22 December 2013. ↑ "Ständige Wohnbevölkerung ab 15 Jahren nach Religions- / Konfessionszugehörigkeit, 2012". www.bfs.admin.ch (Statistics) (in German, French, and Italian). Neuchâtel: Swiss Federal Statistical Office. 2014. Archived from the original (XLS) on 6 January 2012. Retrieved 5 April 2014. ↑ "Meist gesehene Sendungen SRF seit 2011" (PDF) (in German). SRF. 1 July 2014. Archived (PDF) from the original on 14 July 2016. Retrieved 13 June 2016. ↑ "The world's most amazing football pitches – in pictures". The Guardian. Guardian News and Media Limited. 8 June 2014. Archived from the original on 14 July 2014. Retrieved 9 June 2014. ↑ Geering. "Hockeyarenas.net". Hockeyarenas.net. Archived from the original on 14 January 2012. Retrieved 3 November 2011. ↑ "IIHF World Championships 2009 official website". Iihf.com. 10 May 2009. Archived from the original on 27 December 2010. Retrieved 29 April 2010. ↑ "Swiss vote against racing". Grandprix.com. Inside F1, Inc. 10 October 2007. Archived from the original on 14 July 2014. Retrieved 13 June 2014.